Who is ready to party St. Patricks Day style!? In case you didn’t know I’m a sucker for a theme so St. Patricks Day fun with all the green treats and Irish food, I’m all in! 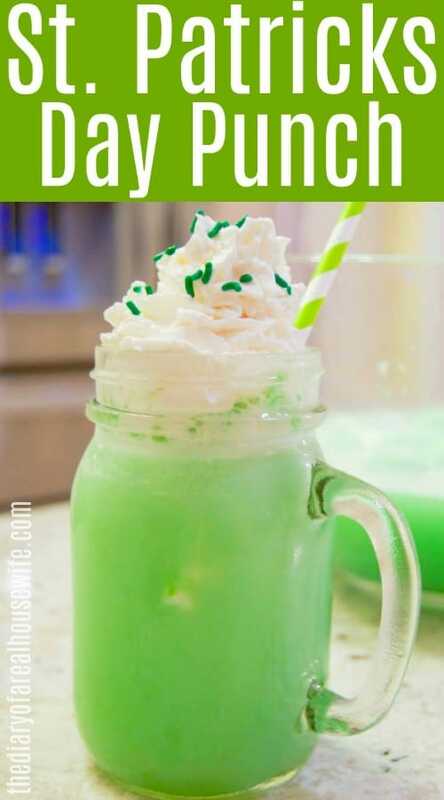 This St. Patricks Day Punch is easy to make and taste so good! I made this super easy only 2 ingredient St. Patrick’s Day Punch with my boys and they loved it! 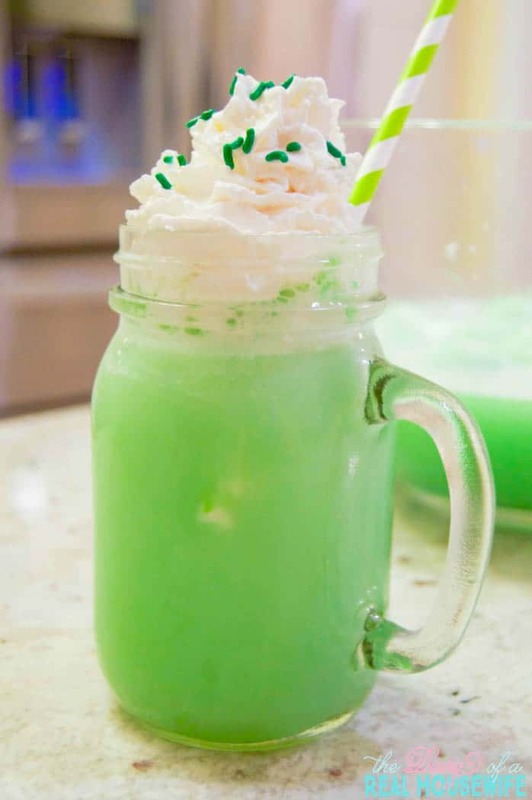 A fun green drink with ice cream, whats not to love here! Start with your ice cream. I scooped out a carton of lime sherbet into a big serving bowl. Next pour in a 2 liter bottle of ginger ale. Do you spy some little fingers in the corner of the next picture. My little guy couldn’t wait to get started and decided to taste test! 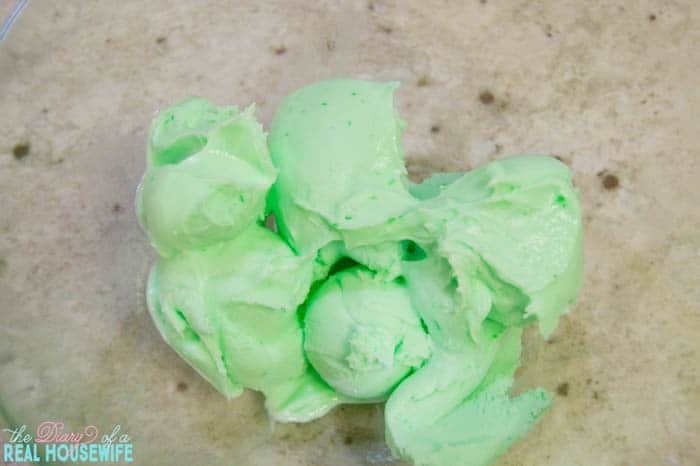 I just poured some ginger ale over my ice cream and let it sit for a while. Those bubbles will all go away after a few minutes. I let my punch sit for a good 10-15 minutes before serving. You get rid of all those bubbles. Time to serve, I added whipped cream and green sprinkles of course to top it all off. Scoop out lime sherbet and place into a large punch bowl. 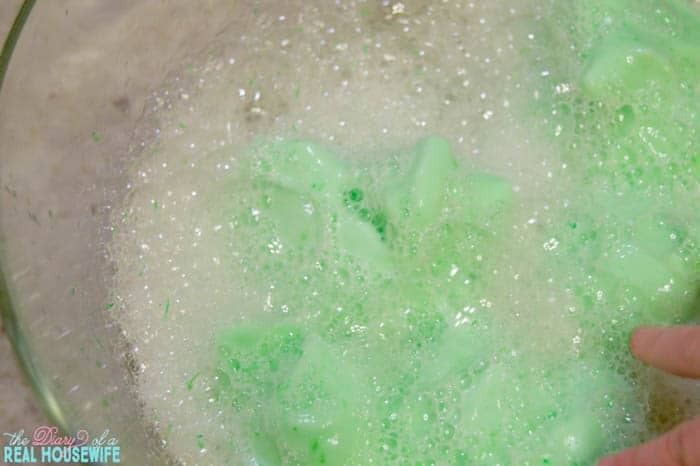 Pour on ginger ale and allow to sit until sherbet has started to melt and bubbles are gone. Serve with whipped cream and green sprinkles. Fun, my kids will love this one! They discovered that they like ginger ale a little while back, so this is definitely calling my name!